This Friday evening, PBS stations across the county will be airing a special documentary on the banjo. This is a “must see” for all banjoists (and all the spouses, family, and friends who have to put up with them!). I’ve long thought that the banjo was the “missing link” in the history of American music; that one vehicle in which the music of Africa and Europe joined together to make the journey through the 19th century - creating the “American Songbag” along the way. 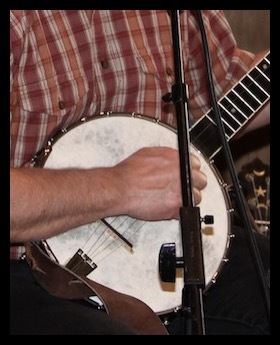 Three years ago this coming November I was in Albuquerque visiting family, doing some shows, and conducting a banjo workshop. It was there that I had my first encounter with the cello banjo. 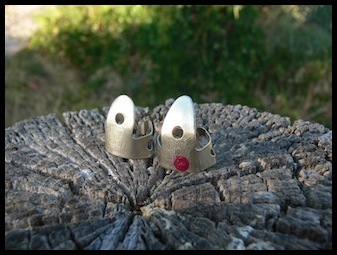 Did I mention workmanship? Gold Tone must have an amazing relationship with their Chinese factory (not to mention the tight quality control) to produce an instrument of this caliber at this price. Take a close look at the photos accompanying this article and you'll be able to see for yourself that the workmanship and attention to detail is top notch. 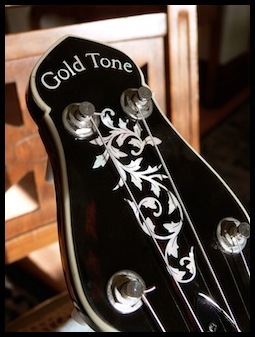 As for adjustability, my cello banjo had some "fret buzz" upon arrival and I was pleased to see that a slight turn of the truss rod quickly adjusted the neck relief and took care of the problem. As a singer, I need an instrument that can be played at low volumes with a very light touch. Straight out of the box, I struggled a bit as this instrument was strung with heavy strings, tuned to low G, and wanted to be played hard and loud. 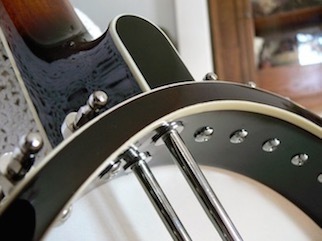 To make the banjo more compatible with my playing style, I tried using the lighter strings (designed for "A" tuning) while keeping the banjo tuned to low "G". This gave me an instrument that responded well to a lighter touch, but it generated some string buzz whenever I decided to dig into the strings. After a year or so of using this extra light setup, I finally decided to crank the strings up to the recommended "A" tuning. Once again the cello banjo surprised me. I was expecting a significant increase in string tension, but as the cello banjo is strung with nylon strings, this didn't happen. 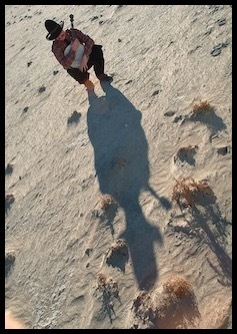 Even tuned up to “A”, the instrument's action was still well within my personal comfort zone. I liked the added clarity of the high tuning but missed the "growl" of the low tuning strung with light strings and so have since gone back to tuning the instrument to G.
Possibly because of my light touch, I tend to use a right hand position that is farther from the bridge than is recommended on the Gold Tone website; but it's still much closer than the position I use on my other banjos . As always, I feel the individual player should experiment around until they find the best right hand positioning for their own personal style of play. There is a downside to everything and for the clawhammer banjoist, this may be the way in which this instrument is strung. 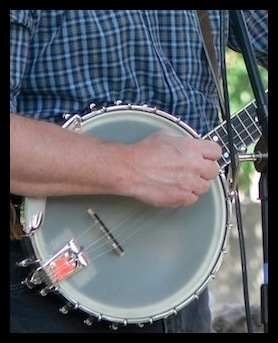 The cello banjo uses wound strings (all five) which can cause excessive wear to the right hand nails. My solution? When I’m performing with the cello banjo I generally use Dunlop fingerpicks that I’ve modified by filing down the blades (the pick in the photo without the red dot). The shorter blade gives a feel much closer to my natural nails than an unmodified pick. Of course this isn’t an issue if the player has acrylic nails or wears finger picks all the time. 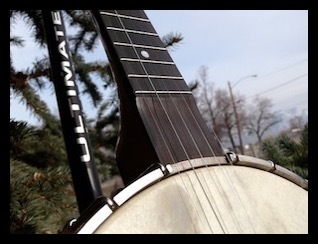 Although I already have a personal blog (A Folk Singer’s Perspective), I felt the need to start another one specifically directed toward the banjo community. 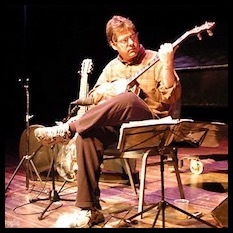 I recently added new pages dedicated to banjoists John Balch and Ken Perlman. 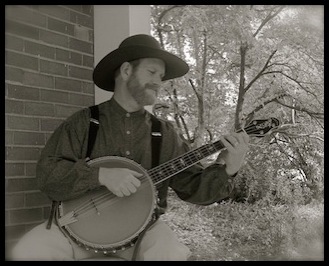 These are the first in a series designed to introduce my readers to the music of other progressive clawhammer players. Within each of these articles you will find commentary on the artist's music and technique, audio and video files, and links to their websites.